And, now, so must we. It’s Friday. It’s been an exhaustingly long week. 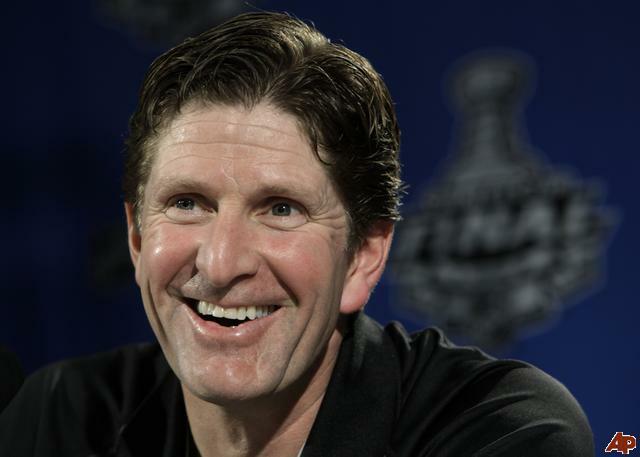 Mostly due to work but the ordeal of anxiously waiting for Babcock to do what it seemed like he was always going to do, leave Detroit for a different opportunity…..and a metric crap ton of money. Somehow this Babcock thing has completely overshadowed the end of the second round of the playoffs, the fun World Championships that were going on and the start of the Conference Finals in the NHL. 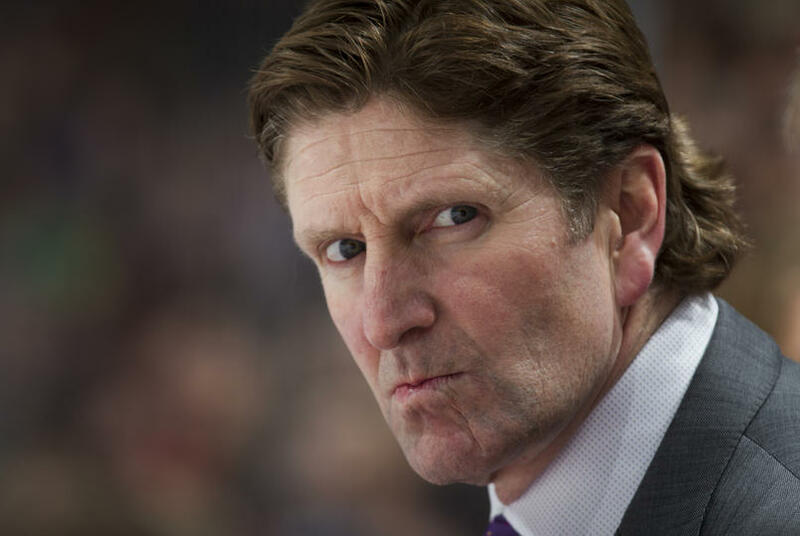 Wednesday was Babcock’s self-imposed decision day and he kept it, making the shocking/not so shocking decision to leave Detroit for….Toronto. The Toronto part was the shocking bit as it seemed everything he said prior to his decision pointed away from Toronto as a destination. So comes an end of an era in Detroit. A long line of triumphant and hugely successful figures have come and gone through the Motor City and brought Detroit 4 cups since it’s resurgence. From drafting Stevie Yzerman and his development to the hiring of Scotty Bowman to Nick Lidstrom’s dominance and the emergence of Pavel Datsyuk and Henrik Zetterberg and the tenure of Mike Babcock. Mike Babcock leaves Detroit as it’s winningest coach in franchise history, a cup, two cup finals appearances and three conference finals appearances. He did a lot of great things in Detroit and for that, I’m forever grateful. It’s been said before and I’ll say it again: Detroit was great before Mike Babcock and it’ll be great after Mike Babcock. Pavel Datsyuk and Henrik Zetterberg are still all world players and are amazing leaders. There’s a tremendous boon of young talent in Detroit, currently, in players like Tomas Tatar, Gustav Nyquist, Danny DeKeyser, Riley Sheahan, Petr Mrazek, Tomas Jurco, Justin Abdelkader, Darren Helm, and Luke Glendening. There’s amazing talent that will be competing for jobs like Teemu Pulkkinen, Alexei Marchenko, Xavier Ouellet, Nick Jensen, Ryan Sproul, Anthony Mantha, Andreas Athanasiou, Zack Nastasiuk, Tyler Bertuzzi, Dylan Larkin and Landon Ferraro. The future is extremely bright in the things that Detroit can actually control. Kenny Holland is still a great GM and the Ilitches are the best owners in sports. Niklas Kronwall went from a potential future Norris Candidate to in over his head. No doubt that the roster limitations have forced Kronwall to be exposed to tougher situations, but is that all on Ken Holland? Jakub Kindl is a former 19th-overall pick and has been on Babcock’s roster since 2010-11. In that time, he’s shown flashes of top-four capabilities, but has mostly disappointed in a sheltered role. While grinding forwards will always have a spot in Babcock’s top six, offensive defensemen have never been given consistent opportunities to show or sow growth under Babcock. Brendan Smith is in the same boat as Kindl. Smith was picked prior to PK Subban in the 2007 draft. Both players have similar styles, but Subban had played nearly 100 NHL regular season games before Smith got his very first opportunity. While Subban’s high-risk/high-reward style eventually rewarded the Canadiens with a Norris-winner, Smith has struggled to produce under Mike Babcock’s system. These are points that I always thought about but I was never able to clearly and concisely verbalize them, so the above is very good. So where do the Wings go now that Babcock has crossed over to “the other side”? There are some experienced NHL coaches out there that I’m sure Ken Holland has thought about, but there is only one name that needs to be truly chased in order to have as smooth a transition as possible: Jeff Blashill. Mike Babcock hired Blashill ahead of the 2011 – 2012 season. 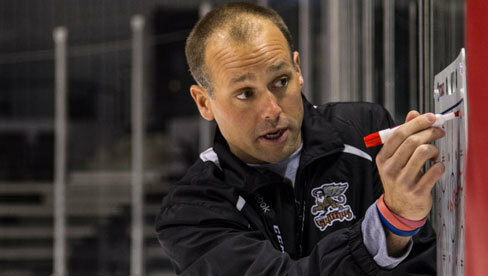 Blashill was relatively unknown at the time, coaching college hockey at the University of Western Michigan, Alma Mater of current Red Wing Danny DeKeyser, but he’s had success at every level he’s coached at, including the USHL. He only stayed in Detroit one season as an assistant. When the Grand Rapids job opened up, Blashill jumped at the opportunity to be a head coach and continue his own development. He spent enough time and developed a good relationship with Babcock, enough so that he believed in his coaching system and implemented it in Grand Rapids, focusing on a defense first scheme that translated into transition. While their coaching styles differ, they have eerily similar dispositions and mannerisms. Both are very matter of fact at how they present themselves. But one thing is clear: Blashill has a burning passion for the game and for winning. He cultivates relationships and, according to Detroit’s younger players, talks to them very well and teaches the game well. He also seems to be able to let the players grow into their strengths while finding a way to incorporate that into the defensive system. Nothing is more evident of his skills as a coach than how he handled Tomas Jurco. Tomas Jurco came into the AHL fresh out of the QMJHL. The Q, as it’s affectionately called, is a highly offensive league where defense and goaltending seems optional. He was one of the very youngest players to ever play in the AHL at the age of 19 when he entered the league. He struggled early….very badly. The pace was different. You go from playing against 16-19 year olds in the Q to playing against men in the AHL. It’s a professional league with guys trying to make a living playing the game. Jurco struggled to keep up with the pace of the more intense league. Blashill took him on as a project and the second half of his year he absolutely took off, helping Grand Rapids advance to the playoffs and win the Calder Cup as AHL champions. He had turned his game around so much that the next year, he was an injury call up to Detroit and he stuck. Detroit liked his size and his skating ability. The problem I, personally, had with how Detroit used him this year was when he struggled early to score, he was deployed almost exclusively in a grinding role. And it’s this misuse of talent that soured me on Babcock recently. As mentioned above with the defensive side of things, Babcock tended to inhibit the growth of offensive creativity for the greater good of the system. This is an area that I think Jeff Blashill will excel in. Of course, we have no way of knowing how well he will do at the NHL level. But if his past is any indication of a continuing trend, he’ll do just fine. And so, it is time to say goodbye to Mike Babcock. He’s given Detroit 10 amazing years of hockey. He’s helped guide them through the implementation of a salary capped team and did well with what he was given. He brought Detroit their fourth cup in the modern era and was very close to a fifth cup. Despite recent playoff disappointments, Detroit WAS the only team to make the playoffs in the 10 seasons following the ‘05 lockout. An impressive feat, indeed. Mike had his final presser today at JLA as he cleaned out his office. I told myself yesterday that I wasn’t going to watch it and I had every intention of not watching it. I really did. But I got the notification that it was on and I decided to watch it. It was a good decision. Mike, for the first time I think anyone outside of his inner circle has seen, was extremely emotional. Early on he was fighting back tears. It was hard to watch because we’ve all been there. Having to deal with a tough decision and then having to deal with the aftermath of it. Memories start flooding back and it’s hard. The biggest takeaway I had from the presser was when Mike spoke about the relationships he forged while in Detroit. Hockey was his job. It is his job. 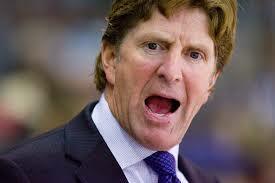 But Mike developed close personal relationships with the personnel of the Detroit Red Wings. He mentioned Kenny Holland’s daughter getting married this summer and that he was coming. He had to pause to fight back the tears. He spoke of the friendships; the life long friendships he’s developed with Pavel Datsyuk, Henrik Zetterberg, and Niklas Kronwall. He spoke about when Pavel finishes up here in Detroit and goes back home to open up his sports school, that he would be there to help. That to me is why he does what he does. The specifics of the sport and the logistics of it all…the theory, the implementation…all of that is why he get’s paid all that money; but the relationships you build is why you coach. Sure, Mike Babcock has a burning desire to win. You wouldn’t be a very good coach if you didn’t have that desire. But Mike Babcock also has a burning desire to be good to people and to develop these relationships. Mike Babcock became more than a coach in Detroit, he became family to those players and personnel. He’s developed life long friendships with the Ilitch family and the Holland family and the three players I listed above. No doubt it extends beyond that but those are probably the strongest. Watching that press conference or media scrum or whatever you want to call it was the perfect piece of closure to Mike Babcock’s tenure in Detroit. It offered a huge glimpse into the man and what he did behind the scenes. He became more than a coach to us at that point. He became vulnerable as he laid it all out there for us and that’s something I was proud to watch and really appreciated. I wish you well in all of your future adventures except for when it comes to hockey. You are now the enemy and Detroit wants to beat Mike Babcock and the Toronto Maple Leafs. Now it’s time for Detroit to find it’s new head coach and move on.